B&B and Fully Self Catering Accommodation. Brand new Villas in the country Relax in the Balinese themed villas with King bed and all are fully self contained. Selamat Datang. Welcome. 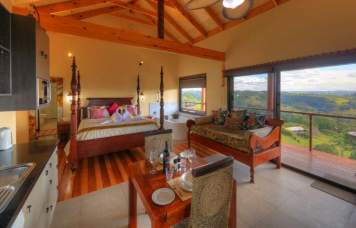 . .
Come relax in a tranquil and tropical mountain hideaway and treat yourself to an indulgent escape. Recharge at Maleny Tropical Retreat in our secluded mountainside paradise that overlooks lush rainforest, the burbling Obi Obi Creek, and the shimmering Lake Baroon. Explore the winding walking tracks below, feast at fine restaurants dotted along the Blackall Range, or slip into a steamy spa in your secluded Balinese-style room. Unwind in exquisite comfort in one of our three luxurious Bed and Breakfast rooms, our secluded Tuban cabin, or our five fresh and new Abadi Villas. Our relaxing Balinese style and rich rainforest surrounds create the perfect setting for a romantic retreat. Snuggle up together on your own private decks with a glass of local wine and watch the warm sunset glow wash over the glimmering lake below. Our romantic getaway bed and breakfast is situated just 5km from the picturesque village of Montville and 9km from the township of Maleny in the Sunshine Coast Hinterland. Also, Australia Zoo is only 19km's from us. 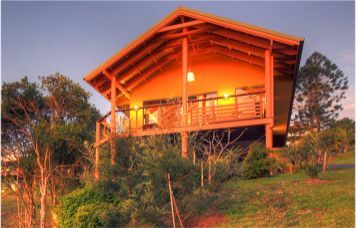 Welcome to Maleny Tropical Retreat, the home of romance and relaxation. 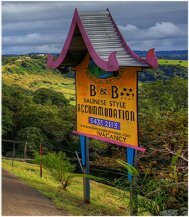 Maleny Tropical Retreat operates a NO SMOKING policy in all B&B Rooms and Self Contained Villas. Check in time: from 2.30pm. As we are accredited booking agents for Australia Zoo, we can issue and print your admission tickets before you leave. We are close to restaurants, galleries, shops, wineries, and local arts, crafts & produce outlets. There are also many walks through rainforests and to waterfalls in the Blackall Ranges and access to one of the Great Walks of S.E. Queensland, Australia. 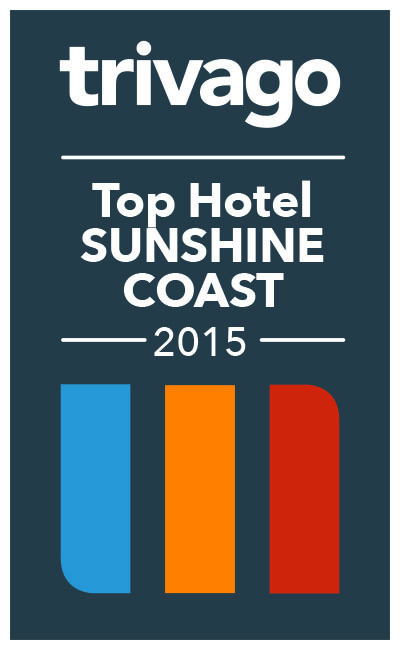 See our attractions page for more information on things to see and do in the Hinterland.